This week, we find our hearts broken again, this time for the victims of the shooting at Santa Fe High School, their loved ones and their community. It is not even summer and already there have been 22 shootings at schools in our country this year. One school shooting would be horrifying; 22 is catastrophic and absolutely unacceptable. Call Congress now and demand action on gun safety: 1-888-496-4842. This week we also celebrate victories stopping the attack on SNAP in the U.S. House of Representatives, and with a Senate vote to stop the FCC's decision to repeat net neutrality. Our work on both fronts isn't over yet, but we're taking heart that the voices of parents are being heard and making a difference. Please scroll down for the complete list of our top actions of the week. As always, your voice is urgently needed. Thank you for all you do! BACKGROUND: On Friday morning, ten people were killed and another ten wounded, and many lives were irreversibly altered, by the shooting at Santa Fe High School in Texas. Our children deserve better than growing up in fear that they will be shot at the place they go to learn. America’s moms mourn every person killed and every child victimized and traumatized by the epidemic of gun violence that is plaguing our country. 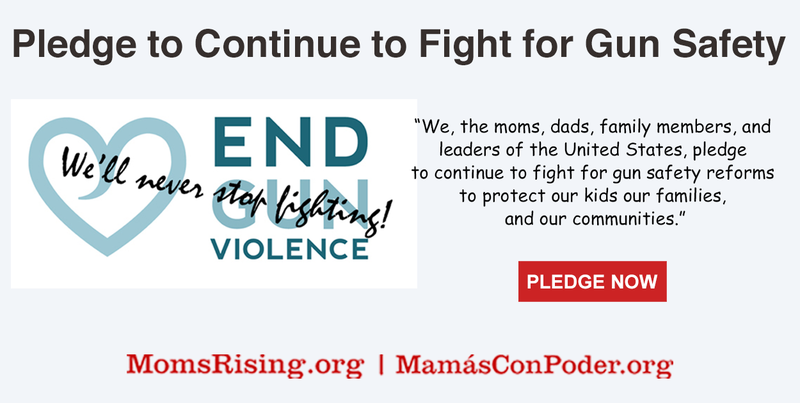 Stand with MomsRising to let leaders know that we demand they act to advance gun safety and community safety immediately. We will deliver pledge signatures to every member of Congress so they know that we are paying attention, watching their votes, and counting on them to prioritize families over the gun lobby. 2. Quick Signature to Say NO to Trump Calling Undocumented Immigrants "Animals"
BACKGROUND: Donald Trump says that that undocumented immigrants “aren't people,” that they are “animals." This isn't just offensive. History shows this particular dehumanizing language can lead to genocide. 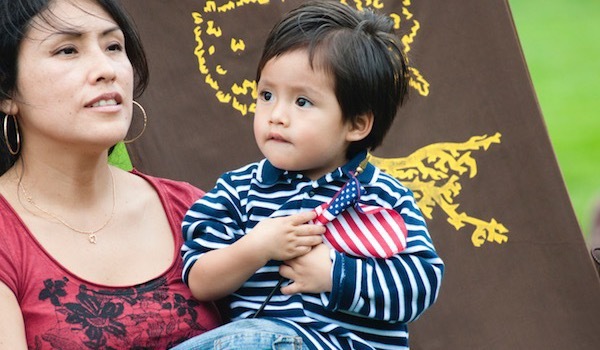 Immigrants are part of our communities, families, lives, and country. Trump’s words and immigration policies are beyond NOT okay. Language matters, language is powerful, and historically this exact kind of language has lead to cruelty, violence and death too many times.Tell Congress now that it’s not okay to dehumanize people. It’s time for them to draw the line, starting with putting a stop to destructive and unconscionable immigration policies like separating children from their parents. BACKGROUND: Amazon just released its new Echo Dot speaker for kids, and we're concerned because the company has not made it clear how it will use the information the device gathers from our kids. Parents know technology and information can be a force for good. We want our children to explore, investigate and challenge their world. But, as they do this, we do not want a record of their interests, questions and preferences being placed at risk. 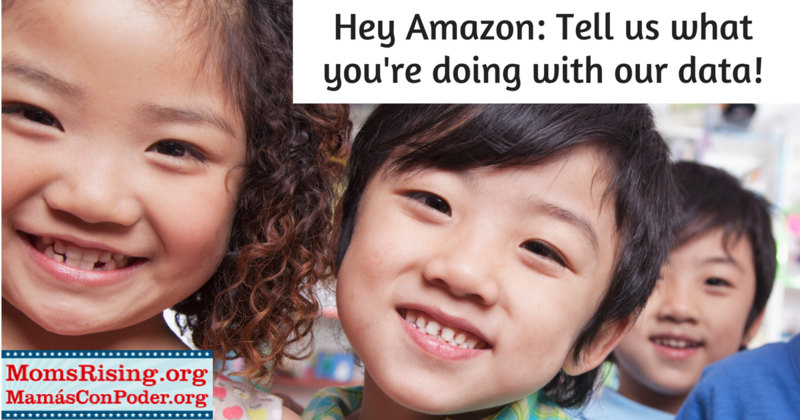 Join us to tell Jeff Bezos and Amazon to be clear about what they'll do with the data they collect, and how they'll make sure it's safely stored! 4. Tell D.H.S. Secretary Kirstjen Nielsen and Congress that Separating Children from Parents is Cruel and Inhumane! BACKGROUND: Recently, the New York Times reported that more than 700 children have been taken from parents arriving at our borders since October, including more than 100 children under the age of 4. It’s cruel to punish parents who are doing everything they can to protect their children and to punish children by depriving them of their parents. 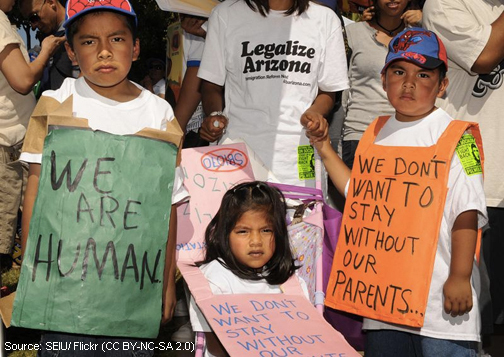 Separating a child from a mother or father only leads to more trauma for all. Losing a child is every parent’s worst nightmare. Join us in telling Members of Congress and D.H.S. Secretary Kirstjen Nielsen that we strongly oppose separating infants and children from their parents. 5. 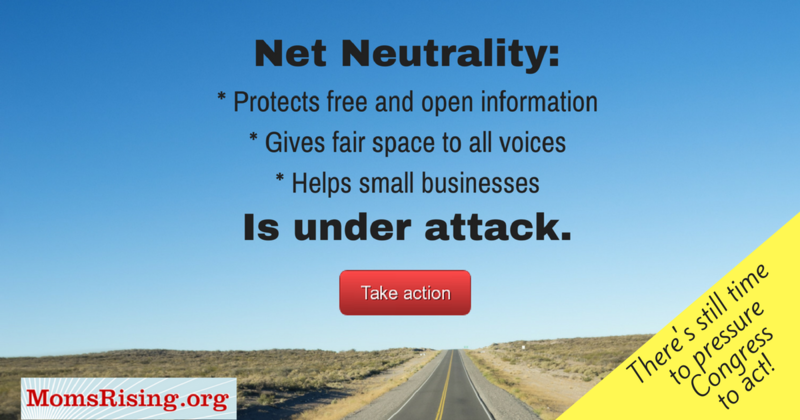 Keep Speaking Out for Net Neutrality! May 22 | PA: Lift Up PA Parents and Families. Help us bring some parent power to Harrisburg on Tuesday May 22! Join us to shine a light on the importance of paid leave, equal pay, minimum wage, and supporting pregnant and breastfeeding parents in the workplace. We’ll also bring forward challenges in our immigration and justice systems that have dire impacts on parents and families, and most especially on communities of color, including gun safety, the school-to-prison pipeline and maternal justice. RSVP here. May 22 | CO: 2018 Candidates For Governor's Forum on Work & Working Families, 6-8:30 PM, This event is a chance to see the candidates for the CO governorship address crucial issues concerning work and workers’ rights. Plus, there will be food trucks! RSVP on Facebook here.